While the first full trailer for Warcraft was released to a wider audience during Star Wars: The Force Awakens, the trailer has already seen its first remake and not in a way many people would have expected. In an attempt to improve on the initial trailer, one fan re-dubbed the video with the game’s original sound effects, resulting in a hilarious version of the original trailer. The trailer, which can be viewed on Game Sided, includes both music and sounds from the game. This includes generic bird songs, sound effects, and character comments like “zug-zugs,” which contrast hilariously with the movie’s serious tone. Although it might not be an improvement, the trailer is sure to bring plenty of laughs and nostalgia to fans of the original game. The movie is based on the hit video game that was originally released over 20 years ago. The plot centers on the Frostwolf orcs, who are forced to run from the evil Shadow Council. While the main storyline might not match up perfectly with the game, the film is set to include a number of different characters from the game, including Khadgar, Anduin, Durotan, and Garona. Meanwhile, Forbes is reporting that Warcraft may very well become the surprise movie of the new year. While 2016 is set to include a number of blockbusters, including Captain America: Civil War, Batman v Superman: Dawn of Justice, Independence Day: Resurgence, and Star Trek Beyond, Warcraft sets itself apart due to its originality. In fact, Warcraft marks the first time the fantasy world will be brought to the big screens. With a big budget to back it up, the film has a great shot at making a big splash this summer. Whether or not this means that fans will show up in mass to support the new movie is yet to be seen. However, it should have a decent showing, especially considering the game’s loyal fan base. Meanwhile, with the new trailer now out for all the world to see, director Duncan Jones has high hopes for Warcraft. According to Design & Trend, Duncan recently talked about some of the expectations that are inherent in a franchise like Warcraft and explained some of the difficulties in adapting the story. “Peter Jackson did a magnificent job of setting the table for Tolkien’s universe with his first Lord of the Rings film. I know that my job in this first film is to establish certain characters, places and culture while telling a story that a broad audience can be excited by,” Duncan related. At the same time, Duncan also expressed his own excitement about a possible sequel to Warcraft. In his mind, the only thing that would prevent another Warcraft film from being developed is if fans don’t show up big at the box office. Duncan went on to describe his thought process behind the major plot line of the film. In particular, the director stated that it was important to include the first encounter between the Orcs and humans. Not only was this a great way to launch the story, but it also gave the director a chance to explain the world that many people are not likely familiar with. Warcraft is scheduled to be released in theaters on June 10, 2016. Tell us! Are you excited to see Warcraft? Let us know in the comments and check out the official trailer below. A new trailer for Techland’s Dying Light expansion, The Following, shows off vehicle customization, including decals, bobbleheads, upgrades, and weapons. About six months ago, Dying Light developer, Techland, teased gamers with some footage of an upcoming expansion, called The Following, for their first-person zombie action game. Today, Techland released a new trailer giving gamers additional information about the expansion, including a few details about the in-game dirt buggies coming with the DLC. As the below trailer shows, Dying Light players will be able to cruise around The Following’s wide-open addition to the map in their customizable dirt buggies. Players will be able to add paint jobs and unlock bobbleheads and charms to show off on their buggies. They’ll also be able to modify and upgrade various vehicle parts, including the engine, tires, and other sections of the buggies. Finally, and probably most excitingly, players can add unique weapons to their vehicles, such as a ramming bar and flamethrower. Needless to say, the buggy customization looks epic, and will definitely thrill any players who pick up The Following for Dying Light. Along with the ability to mow down hordes of zombies with impressively outfitted buggies, the trailer also hints at racing events coming with the DLC. It’ll be fun to see what all is included with the buggies and map. Considering the way Dying Light splits up the various playable areas, it’s likely the buggies will only be available in the new map area. It doesn’t look like players will be able to transfer their drivable vehicles to previous game areas. Those looking to pick up The Following for Dying Light will be happy to hear the expansion goes beyond just additional acreage and vehicles. As a story-based DLC, players can look forward to new missions, weapons, and characters. As with the original game, players will be able to acquire and spend skill points, with new “Driver” skills available for players to unlock and upgrade. Among the skill tree options is an Electric Cage, which electrifies zombies that surround a player’s buggy; as well as a UV SafeZone, that adds UV lights to buggies to deter zombies at night. It won’t be surprising to see Techland’s best selling game continue to do well with this new expansion. It’ll be interesting to see the full suite of additions to Dying Light once The Following releases next month. What do you think about the new features coming to Dying Light with The Following expansion? Let us know your thoughts in the comments. Dying Light – The Following is due out on February 9, 2016 for PC, PlayStation 4, and Xbox One. North American publisher XSEED Games began streaming a gameplay trailer on Thursday for its upcoming PlayStation 4 and PlayStation 3 crossover fighting game Nitroplus Blasterz -HEROINES INFINITE DUEL- . XSEED Games also announced on Thursday that the game will launch on February 2. XSEED Games previously streamed character videos for Ruili, Ignis, and Ethica earlier this month. The game crosses over characters from Nitroplus properties and visual novels, as well as characters from properties where Nitroplus writers were involved, such as Saber ( Fate/Zero ), Akane Tsunemori ( Psycho-Pass ), or Angela Balzac ( Expelled from Paradise ). The game's PlayStation 3/PlayStation 4 version shipped in Japan last December. The console version promotes Super Sonico from partner character to playable character. Players will be able to download Homura from Senran Kagura and Aino Heart from Arcana Heart as playable characters for free for the first four weeks after the game launches in North America. The characters will then be available for US$5.99 each or as a bundle for US$9.99. The game, "Mortal Kombat X," is going to get the "Kombat Pack 2" soon and recently, a gameplay trailer for it was released. Soon after the gameplay trailer released, news about the pack was made public by the developer and it provided more details about the characters that would be included. Reporting on the characters that would come in the "Kombat Pack 2," Gamespot states that Leatherface from the "Texas Chainsaw Massacre" film franchise would be included. Also included would be the Xenomorph, also known as Alien from the film franchise of the same name. The trailer importantly hinted that Bo Rai Cho, who is the drunken fist master, and Tri-Borg would also make an appearance. The pervious characters that have been brought to the game since its release have included the likes of Jason Voorhees and the "Predator." However, this particular trailer for the "Kombat Pack 2" was released for a short while, and then was taken offline and made private by the developer, who then went on to state that it would be brought online again sometime in the future. Following this, the trailer, as promised, was re-released by Warner Bros. and along with it came news that players who invested in the "Kombat Pack 2" will get the four new characters and also the "Apocalypse Pack." Additional content in the form of the "Brazil Pack," "Kold War Pack" and "Kold War Scorpion" will also be provided to gamers. In the "Apocalypse," "Brazil" and "Kold War" packs, there will be three skins each and the "Kold War Scorpion" pack will have one special skin. Tri-Borg and Alien are some of the characters that are eagerly awaited in the upcoming "Kombat Pack 2." Many want to know more about Tri-Borg, who was revealed to be a combination of Robot Smoke, Cyrax and Sektor. No release date has been set for "Kombat Pack 2" and its price has not been revealed, but it could cost around $29.99. Publisher Bandai Namco put up a launch trailer for its upcoming first-person puzzler Attractio today, and the game looks like some kind of weird cross between Portal and Smash TV. The game, set in the year 3275, will feature three protagonists as they each try to survive a deadly reality TV show called Attractio in the hopes of winning big prizes by solving puzzles. The gameplay looks a bit like the gravity gun from Half-Life 2 in the world of Portal. You’ll play as each of the three characters during the game’s story mode as they compete against one another to win, each vying for a different prize. Attractio launches on PlayStation 4, PS Vita and PC on January 19. Omnibus, a game in which you drive a bus that can't stop and somehow avoids resembling Speed in the slightest, has gotten a new trailer, and it's something special. Devolver Digital, known for creating and supporting some wacky games in the past, today released the trailer above for Omnibus. It's positioned as the latest entry in a series about vaporware, and makes it seem as if development on Omnibus started more than two decades ago. It goes on to feature fake magazine covers, tweets, and a profane quote from Shigeru Miyamoto; suffice it to say, you really need to just watch it for yourself. In reality, Omnibus is a game that attracted more than $8,000 on Kickstarter (where $5,000 was the goal) and is now close to release. It has you take control of a speeding bus that can't be stopped or slowed down. There's a mission mode where you'll try to complete various objectives, and another mode where you just try to pull off tricks and earn high scores. There's also a multiplayer mode for up to four players where they'll compete for the highest score while pulling off tricks and flips, as well as a deathmatch mode. The game launches this spring for PC, where--as you might assume from the not-exactly-cutting-edge graphics--the system requirements are quite light. It requires only a 2.4 GHz processor and 2 GB of RAM, and it'll even run on Windows Vista--Vista!--should you be unfortunate enough to still be running that. A price isn't shown on Steam, but in the meantime you can try the demo that was released with the Kickstarter campaign last year here. How to Highly compress 1 Gb file into 1 Mb with Easy method ? There are instances when your memory card,, USB flash drives or hard drives run out of memory. Many a times, we find it difficult to share data or files due to shortage of storage memory but no need to worry now our guide on How to compress 1gb file into 1 mb will really help you . 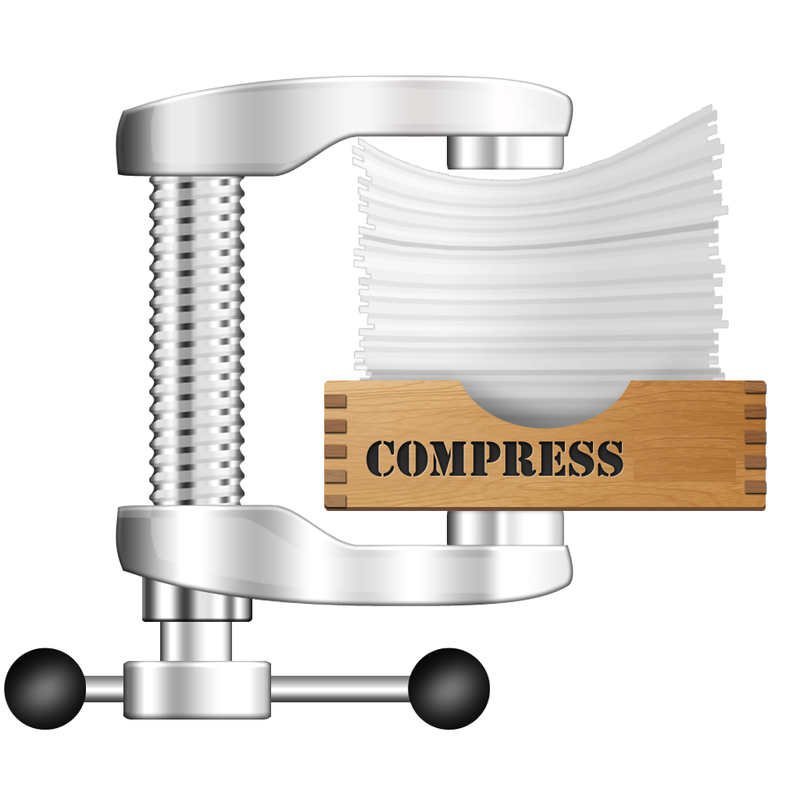 What is compression of a file ? Compressing is an art of reducing the size of a file without corrupting a single constituent system files. Though there are lots of software available on internet that can compress files and reduces its size, but the efficiency is comparatively low. Any file that contains one or more files or directory that is smaller than their original file size is known as a compressed file. Most common format of compressed files are .ZIP, .TAR , .arc, .sea and many more . Why do we compress Files ? Compression makes downloading faster easier and allows more data to be stored on a removable media. Before Compressing 1 Gb file into 1 mb we should know some advantage and disadvantages of compressing a file . Advantages of compressing Files ? Disadvantages of compressing Files ? Compressing any file of Size 1 gb into 1 mb without any software is not possible. A software called KGB Archiver successfully enables you to compress a file at an extent from 1 GB to 1 MB. 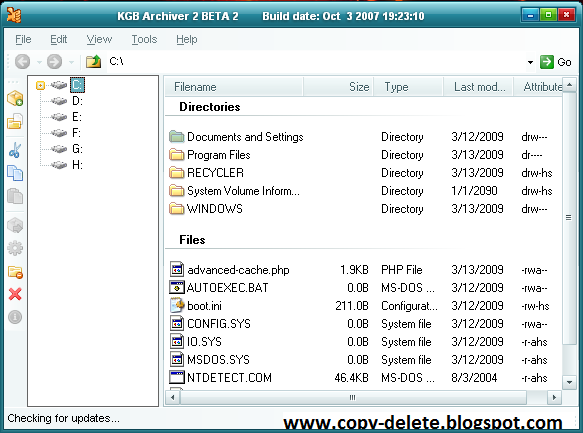 Why we should only use KGB archiever to compress files ? - It is 100% free and easy to use. - No crack, patch or serial key is required to activate it. - It can compress at a rate of 90% efficiency. - It can make a password protected compressed file. - It has the ability of self-extracting archives. - It is compatible with many extensions. One of them is .zip. - The Unicode is supported in both file systems as well as in User interface. - It is in many languages like English, Chinese, Russian, etc. - Select the archive format as “KGB“. For better experience, choose maximum compression level from the default setting of Normal. - Then select the files you want to compress into 1mb from 1gb and click on Add file . After clicking on next compression will start . Time will depend on the size and Level of compression it will take more time in maximum compression level . Motorola announced a generous price cut on two of its affordable smartphones – Moto G Turbo and Moto G 3rd gen – in India on Thursday. Both smartphones are available exclusively on Flipkart and selling at Rs. 9,999 and Rs. 12,499 for Moto G 3rd gen and Moto G Turbo, respectively. Motorola slashed the prices by Rs. 2,000 flat. With the latest discounts, the Moto G 3rd gen 8GB variant costs Rs. 9,999, while the 16GB model sells for Rs. 10,999. Moto G Turbo edition, which was launched just a month ago, is now available for Rs. 12,499 on Flipkart. Motorola also extended the discount to the Moto X Play model, selling it for Rs. 16,499 for the 16GB variant and Rs. 17,999 for the 32GB model. Though Motorola did not reveal the reason behind the price slashes, it appears the rising competition in the budget smartphone space triggered the move, Gadgets360 reported. In addition to the price cuts, there are attractive exchange offers on Moto G 3rd gen, Moto G Turbo and Moto X Play. Customers can also exchange their old devices and get up to Rs. 4,000 off on Moto G 3rd gen and up to Rs. 5,000 on Moto G Turbo edition. Moto X Play buyers can fetch up to Rs. 7,000 by trading their old functional devices. The exchange bonus offer is available only via Flipkart app. Moto G 3rd gen was launched in India in July last year and the device offered great camera, UI experience, battery and looks. With the new price cut, Moto G 3rd gen is a worthy choice and competes against handsets like Lenovo K3 Note, Meizu M2 Note, Lenovo K4 Note and others. The price cut on Moto G Turbo Edition comes as a bit of surprise as it was launched just a month ago. The handset's launch price was Rs. 14,999, but it now sells for Rs. 2,000 cheaper. For the price, it offers a waterproof and dustproof build, Turbo Power wall charger, 13MP camera, 2,470mAH battery and more. Online marketplace Flipkart has launched services for its consumers on Microsoft's new Windows 10 platform. Building on Flipkart and Microsoft’s constant efforts to make technology adapt to consumers and deliver an enhanced end-user experience, Flipkart’s new universal Windows app will offer consumers a seamless app experience across all form factors, the company said in a statement. The new universal app will offer a more personalised app interface with features such as customised shopping recommendations, merchandising and notifications, and interactive guided search. Additionally, consumers will also be able to avail of all the ‘App-only’ offers right from the app. The Flipkart app for Windows 10 has been developed specially for hybrid devices (touch and non-touch) and optimised for use of different inputs such as touch, keyboard, trackpad, and mouse. The Flipkart app for Windows 10 is also one of the first apps to introduce the product tabs feature, enabling consumers to open tabs in the background to view products later as well as compare different products for a faster browsing experience. Users can also access the “image search” feature to find visually similar items when shopping. Meanwhile, Harish Vaidyanathan, Director of Independent Software Vendor Programs at Microsoft said, “The Flipkart app for Windows 10 has been designed to offer a seamless and consistent experience across various form factors. By virtue of an online store being available 24x7, consumers will be able to pick up their selection and shopping process from where they left off across their range of Windows devices. Apart from the added convenience and enhanced experience, consumers will also get access to app-only offers and in-app notifications that will keep them updated on the latest deals and discounts." A group known as Anonymous claims to have hacked a Sacramento City Hall computer system and posted the addresses and phone numbers of city leaders online, though officials say that’s not the case. The group threatened to disrupt the city’s computer systems over the it prohibiting homeless people from camping on certain public properties. In a series of videos, people claiming to be with Anonymous vowed to shut down government websites if the city doesn’t meet the demands of protesters who want Sacramento to repeal its anti-camping ordinance. A new post laid out everything from phone numbers to vehicle information for every single city council member. Computer experts like Andrea Eldridge say Wednesday’s post should be taken seriously as a sign of escalation and a very real threat. The founder of Nerds on Call says the cyberthreats should not be underestimated. In 2014, Fort Lauderdale received a similar video, and within 24 hours the city’s website and the mayor’s website were disabled. Sacramento city leaders say there doesn’t appear to be a breach and the information posted was from public sources. “According to an investigation of the post, the data was drawn from public sources and was mostly outdated. However, as always, we are continuing to extensively monitor all our information systems,” the city said in a statement. Sacramento Police say they are monitoring the situation. Experts say the best advice for city employees moving forward is to use passphrases instead of passwords for their online work. The complicated phrase or sentence adds more entropy and will make it more difficult to guess than a smaller phrase.